When I was a kid it was my ambition to play cricket for England. Sadly, I wasn't good enough. The dream of pulling on those three Lions is replicated around the world. The Baggy Green of Australia, the Maroon of the West Indies, or the Protea of South Africa will be the ultimate goal to thousands of children in their respective countries. Yet the modern day player seems to be putting money before the jersey and I find it sad that the innocence of the childhood dream is being taken away; not to mention the opportunities for home grown youngsters. First things first. This isn't political, it's not about race, nor am I some UKIP supporting right winger who promotes all things British. Far from it, in fact what I am about to mention stinks of the old Commonwealth. Instead of pillaging minerals from the earth of foreign lands, it now looks as if the rich are gathering cricketers instead, to the detriment of the countries involved. 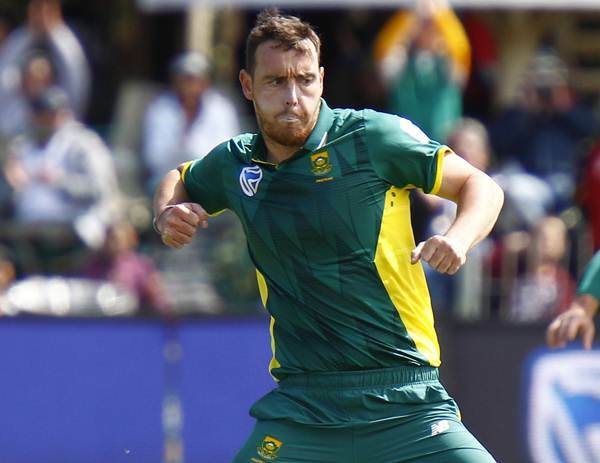 News has come through today that Kyle Abbott, the South African paceman is looking to shelve his childhood dream of playing for his country, turning his back on the Proteas and playing for Hampshire as a Kolpak player. With Simon Harmer signing for Essex and Hardus Viljoen coming to Derbyshire this summer, South African cricket looks to be in a spot of bother. Personally I'm not aware of Abbott's salary for South Africa but they are not in the leading three when it comes to remuneration. He should get around the 100k mark for Hampshire, a salary that numerous Division One players are currently earning. It is obviously a lot more than he is currently getting by opening the bowling with Dale Steyn. Quick bowlers tend to get paid more as there are fewer of them and their career span is often shorter than their team mates. Abbott is 29 years of age - an age which is considered in his prime for a cricketer. These are his 'salad days' as Tony Hadley would have sung. Sadly, I'm not sure if Abbott is believing in his soul, although Hampshire are offering him a financial 'lifeline'. South African cricket has been lagging behind England and Australia in recent years when it comes to salaries, let alone the wealth of Indian T20 players. You can't blame the players for wishing to secure their future in what can be a short career. But where has the love gone? Where has the pride gone in wanting to represent your country? Abbott would no doubt, have toured the UK with South Africa this coming summer. I'm not classing these three in the same bracket as Kevin Pietersen, Keaton Jennings or Matt Renshaw. All three had a parent of English or Australian heritage and made their choice to play internationally for their maternal sides. They are a different kettle of fish despite the protestations of some Australians on social media, with Jennings having skippered the South African Under 19 team. The rules were tightened up a few years ago in 2012 that players had to wait seven years instead of four, unless you are under 18, to qualify for the country in which they ply their trade. Otherwise you would have seen the same result as Rugby Union where the islands of Fiji and Samoa have been stripped of their assets. In fact, a staggering 21 players of 'qualification status' played in the Six Nations of 2016, according to Darren Gough on Talksport a few weeks ago. France have recently announced that they are not going to go down this route any more. Football is another sport, where the South American or African up and coming star feels he has to come to Europe to earn the best money. Some wish to play in the best leagues in the world, others are here to secure their futures. No doubt, they will then end their careers having been 'tempted' by the staggering salaries on offer in China at present. It is not just South Africa who could well struggle in future years. Surrey brought over Ravi Rampaul from the West Indies to many a raised eyebrow in South London. It seems that players who are on the fringes of national sides such as Abbott or those whose career may be towards the latter years like Rampaul, seem fair game to English sides. Whether that is promoting young English talent towards the Test team is a moot point? But do the counties have a responsibility to the game to promote more English born players? The boom in global mobility means that we have seen numerous overseas players here in recent years, Kolpak or otherwise, playing under short term contracts. The days of overseas professionals staying with their counties for ten years or so, as we saw in previous eras has lone gone. These days they tend to fly in for a couple of months and are then replaced with another. The constant cycle of international cricket means that the best are not available for April to September any more. Where does this leave the smaller cricketing nations and their stars? Will South Africa or the West Indies become like Fiji or Samoa in Rugby? 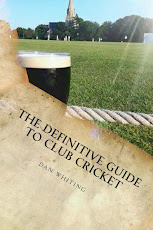 Do the counties have a responsibility to provide as many players as possible to the England cricket team? What is the driving factor in sport? To pick up as much money as possible in a short period or to play at the pinnacle of the game? Today, I am not sure of the answer to any of the above.